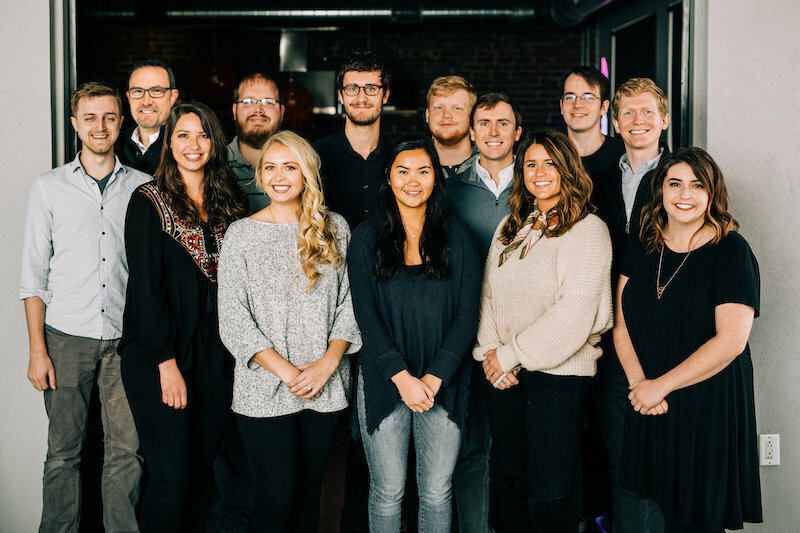 After finding that we were outgrowing our old office, Delegator migrated from another location in downtown Chattanooga into the Innovation District in the summer of 2018. We evaluated a number of new spaces in various parts of the city, and ultimately decided that moving into our current space would not only provide for our basic office space needs, but help us elevate Delegator to the next phase in our growth as a company. In fact, our building at 701 Cherry has a history of entrepreneurial growth. Krystal was founded in a small diner on the property, and later on, when Krystal had become a major regional franchise, they built their corporate headquarters on the same lot. The building was completely renovated in 2014, and one of the first tenants of the new space was the Chattanooga office for OpenTable, which had acquired Chattanooga startup Quickcue for $11 million. For our team, there’s a palpable difference in being a part of a district that feels tailor-made for our kind of work environment. We try to provide an office environment that allows our people to do their best work, regardless of whether that’s a brainstorming session, client phone call, or heads-down implementation session. The Innovation District expands what we provide in-office to all the surrounding amenities that our team wants to be close to where they work: coffee shops, lunch spots, bars, public art, parks, events, and an overall vibrant area where we bump into people doing similar work. Our new location has also helped in our recruiting efforts, as the surrounding neighborhood is a real factor in helping people envision themselves working here. Throughout the week, you can find our team members on the sidewalk between Taqueria Jalisco and Mad Priest , enjoying the variety of eating options available in the neighborhood. Beyond the obvious cultural benefits, Delegator has benefited from our proximity to similar firms in more tangible ways. Since moving to the district, we’ve sparked collaborations with complementary firms that have broadened our client base and allowed us to have more strategic conversations about client projects. As a specialist digital advertising agency, Delegator relies on other creative professionals for amazing web design, video production, coding, and other work that multiplies the effectiveness of what we do. Even in today’s digital, interconnected world, meeting face-to-face with our collaborative partners is still critical. Our work as an agency is focused on partnering with other companies to accomplish a common goal, so it’s in our nature to reach beyond our office walls to make connections and learn from experiences with others. This idea of growing together as a community is what makes our home in the Innovation District so significant. We could not be more excited about growing Delegator as a part of Chattanooga’s robust, diverse entrepreneurial ecosystem. About Delegator: Delegator manages and optimizes digital advertising on Google, Bing, Facebook, Instagram, and Amazon for businesses large (Rawlings, Harper Collins), and small (startups from Chattanooga to San Francisco & NYC). Delegator helps companies advertise online to grow revenue, whether they sell products directly on their website or use their online presence to generate valuable leads. Delegator was founded in 2009 by Smart Furniture founder Stephen Culp and partner Andrew Scarbrough, who were unable to find an agency they trusted to have both the technical skills and business sense to outsource critically important digital marketing work.